Originally from the Outaouais region of Quebec, Katia began her academic background with a Diploma of College Studies in Fine Arts. In 2010, she was accepted at Laval University as an animation undergraduate. 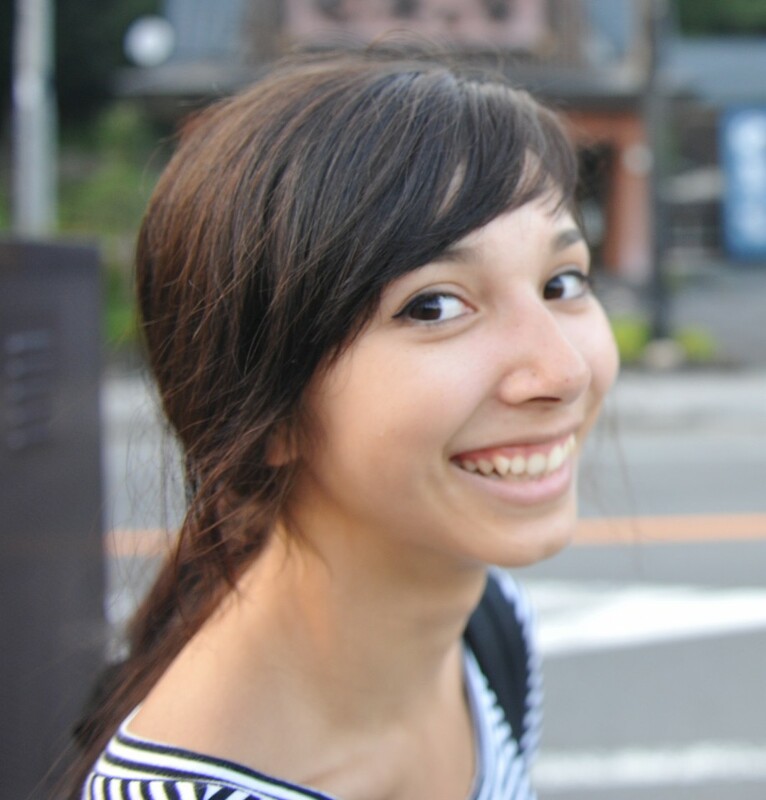 Katia is now living in Vancouver and attending the Emily Carr University of Art and Design, where she is pursuing her studies in the field of 2D and 3D animation. What is your academic background and background in animation? I have always had an interest in animation. Whether it was animation in film, video games or television shows, it has always been in the back of my mind as an element of fascination and an efficient tool for storytelling. However, I knew very little about its creation process until I moved to Quebec City and attended Laval University, in 2010. I studied as an animation major for 2 years, before transferring to Emily Carr University. I am still enrolled in their animation program, and while I continue to explore different types of animation, I am slowly shifting my focus to 3D character animation. How did you come across the animation position with us? Through a series of very fortunate events, I discovered the job posting on my school’s online job board. Emily Carr University frequently advertises work opportunities in the fields of visual arts and design. However, it is more uncommon to come across an offer that is directly linked to my field of study. When I saw an opportunity to work as an animation intern, I applied immediately. What is your process of creating animation videos? Research is a fundamental stage in my creation process. While I aspire to develop work that people will recognize as my own, I believe that creativity is fuelled by seeking inspiration around us. This research often leads me to the work of people who are not necessarily in my field, such as visual artists or illustrators. I wish to echo the aspects of their work I enjoy, whether they be technical or conceptual. Through this process, I establish the feel and look of the animation. I storyboard it in order to have an idea of where it is going, but the end result often steers away from what I expected it to be. What have you learned so far during your internship? Having both freedom and responsibility in creating these animations has been a constant reminder to stay disciplined and organized in my workflow. It has been very beneficial to improve these skills in a professional work setting. Most importantly, I now have very specific knowledge about genomics and varroa mites that can come in handy in conversations. What were some of the challenges of this internship? Communication is a challenge that arises in most aspects of life, so it is no surprise that when brainstorming for a project that is image-based, we have to be very mindful about how we communicate our ideas through speech. However, I feel as though these experiences have allowed us to adapt and improve the way we transmit information, as a team, and have made us more efficient over time. We have been encouraged to attend some very relevant workshops. The subject of these workshops vary, but they are always a great opportunity to move past our comfort zone and develop connections with new people. You can view more of Katia’s work on her Vimeo channel.